The same day, legislative leaders announced that the Commission’s first meeting would be held on July 31. This provided the required minimum two day public notice for a public meeting. At the July 31 meeting, the Commission met for five minutes and forty-five seconds. The meeting was perfunctory, as the key decisions were made prior to the meeting. Each member introduced himself and then the co-chairs were unanimously approved without any debate or competing candidates. 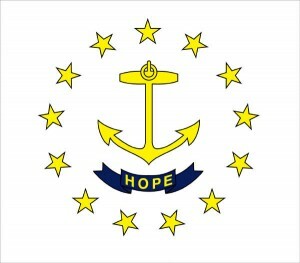 The newly elected leaders announced that the Commission would hold four public hearings in different locations (down from 7 in 2004 and 14 in 1984), that it would try to complete its report by early September, and that its final report would be distributed to every Rhode Island citizen via the Voter Information Handbook. No specific dates were announced for either the four public hearings or the final report. No online signup was provided for public notice about the four public hearing dates. The announcement that the report would be included at taxpayer expense in the Voter Information Handbook was unprecedented and a major enhancement of the Commission’s powers. In 1984 and 2004, commissions had created reports, but they were neither publicized at taxpayer expense nor widely read. In 1994, no report was issued, as the commission was appointed only one day before the election. The 2004 report essentially argued that no state constitutional convention was necessary because the legislature was a better vehicle for all types of constitutional reform, including democratic reforms. Presumably, the 2014 report will also somehow manage to avoid explaining the democratic function of a state constitutional convention. Our view is that the Commission’s report should not be included in the Voter Information Handbook. The notion that the Commission is or could reasonably be expected to be an objective broker for information on a state constitutional convention is ludicrous (see J.H. Snider and Beverly Clay, R.I.’s poor preparation for convention, Providence Journal, August 2). Amazingly, the commission failed to acknowledge its missed July 30 report deadline specified in the legislation that created the commission. Imagine what would happen to you if you failed to submit your taxes by the IRS’s April 15 deadline without even a request for extension. It was as though the law passed by the General Assembly had no more significance than a quarterback’s feint to pass when the intent was to run the ball. The Providence Journal ran a story on the meeting. –by J.H. Snider, Administrator, RhodeIslandConCon.info, and Beverly Clay, Advisory Committee Member, RhodeIslandConCon.info.